You dominate a market when you have publications reporting on rumors of rumors regarding your upcoming products. That said, PHOTOS OF THE IPHONE 5 LEAKED!!! GAHHHH!!! Maybe. Possibly. These photos may not be official. But who cares? A recent survey of 3,000 consumers showed that 35% (!!!) planned on buying the iPhone 5, despite not knowing anything about it. I hope that one of these years, Jobs rolls out an Apple-stamped, wall-mounted, old-timey rotary phone as the new iPhone and single handedly saves our economy. The leaked photos show a case that speculates some pretty significant changes for the iPhone 5. The screen looks bigger, the edges are rounded again, and the antenna seems to have been relocated to where the Apple logo appears on the back of the phone. 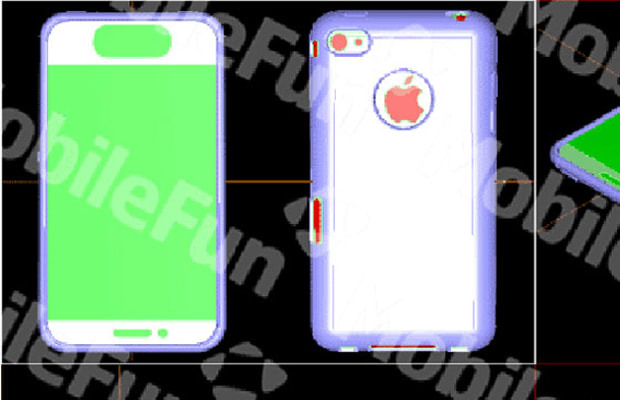 However, the photos kind of feel like a fan’s interpretation of every rumored speculation on the upcoming iPhone thus far, with no real curveballs thrown in. Until Apple finally unveils the design, we won’t know. So let’s all pretend and rejoice in the majestic glory of (potential) Apple news anyways!